A pre-purchase building and pest inspection from us guarantees you reliable, responsible and reputable service delivered by a company that’s been in the biz for longer than most. What secret horrors are lurking in the new house of your dreams? Pay heed these tales of woe – make sure you book a building and pest inspection BEFORE you purchase! Scratching. Squeaking. Shuffling. In the roof, in the floors – even in the walls. You lay awake in horror as you realise what you thought was a fresh new start is a breeding ground for generations of rodents. A building and pest inspection prior to purchasing a new home would have been able to locate the presence of rodents before you moved in. The onus would have been on the sellers, rather than you, to foot the bill for their removal. 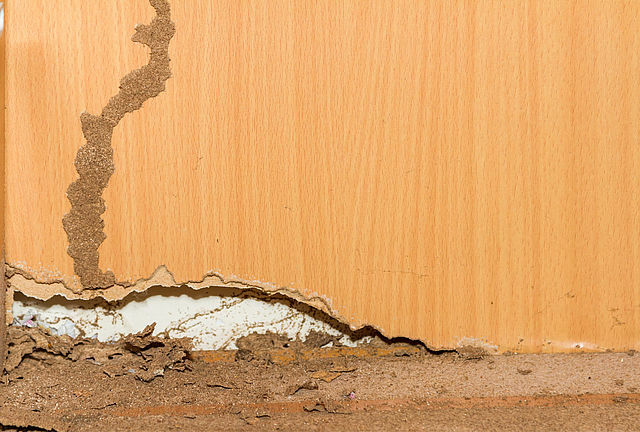 Termites are a serious threat to the value and stability of your home. These dangerous creatures are capable of destroying wooden structures over a three to five year period. If they’re already in that beautiful home you’ve just bought they’ve got a head start on destructive carnage. Termites can compromise structural integrity, cause untold damage to electrical wiring and contribute to the spread of deadly mould within a home. This potential threat to your family’s safety and well-being means that securing a building and pest inspection early in the pre-purchase process will steer you away from impending catastrophe. What is the most deadly creature in Australia? Snakes? Sharks? Spiders? Incorrect. The biggest killers haunting our homes and backyards are bees and wasps. A recent University of Melbourne study revealed that of the 42,000 venomous bites and stings suffered by Australians in the last 13 years, one third of them came courtesy of the humble bee. Look around the property you’ve got your eye on. See any suspicious looking lumps and bumps in eaves and under awnings? Are you confident moving your child into a bedroom without knowing what could potentially be waiting for them when they open their window? If you’re looking for pest inspections Brisbane and you’re AT ALL concerned about the presence of flying pests, particularly those that could result in anaphylactic reactions, early detection and treatment via a pest inspection is vital. It just wouldn’t be Queensland without the presence of ants. Marching under cover before a torrential summer storm. Over-taking the kitchen if you’ve made the mistake of leaving out some dirty dishes. Infiltrating bedrooms, cars, bathrooms and just about every surface you can imagine. It’s enough to drive you crazy. Ants are one of the easiest pests to deal with via a professional building and pest inspection but, if left unchecked, are capable of quickly getting out of control. Beware – the below link contains material that may disgust and horrify! 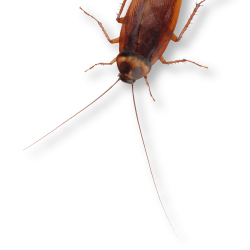 Untreated pest issues can resemble scenes straight from a horror film. Maybe the property you’re interested in is at quite this level of infestation, but you can’t be sure without the guidance of a professional, reputable team. A pre-purchase building and pest inspection from Prestige Pest Control guarantees you reliable, responsible and reputable service delivered by a company that’s been in the biz for longer than most. They offer honest service at an affordable rate designed to make sure you don’t make a costly mistake you’ll live to regret. Don’t wait until your own dark and stormy night. Contact Prestige Pest Control today on (07) 3356 1400 or contact us online.